The Seoul Metropolitan Government has begun to take steps to reduce overtime work in the public sector, mandating that all computers be shut down after 8 p.m. starting Friday. The latest measure comes after the growing number of criticism from Koreans, who lack a decent work-life balance. The city government ordered all computers at the Seoul City Hall building and its Seosomun annex be powered down at 8 p.m. Friday. The automatic shut-down of computers will be implemented at 7:30 p.m. every second and fourth Friday next month and extended in frequency so that computers be shut off at 7 p.m. every Friday in May. 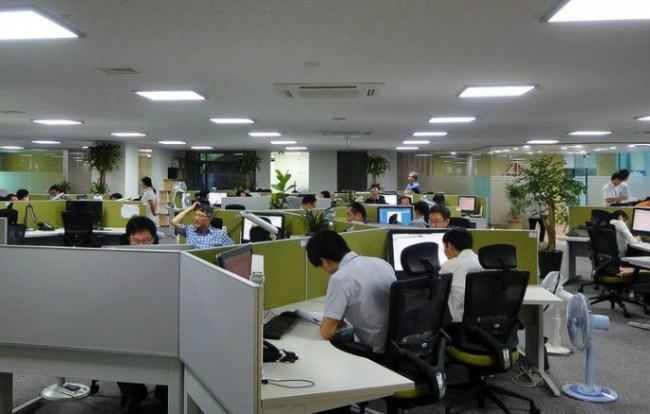 Additional Seoul government buildings, such as the Mugyo annex building and the Office of Infrastructure, will also adopt the new policy in the near future, its city official said Tuesday. The city had made previous attempts to lessen the burden and stress from overtime work by designating every Wednesday and Friday as “Family Day,” but it failed to see results. Many employees still reported working overtime on a significant number of days of the week, according to the city. After a civil servant collapsed and died due to “work-related stress” in September, the government started to focus more on reducing working hours, bolstering employees’ benefits and revamping the workplace culture.